*There will be a handful of tickets available on the door for each showing. To celebrate the new Live at Zédel season, on the 3rd and 4th of September the doors to Crazy Coqs are thrown open to artists and public alike for two days of theatre, music and cabaret performances. Hosted by Jay Rayner, Saturday will see some of the stars of the new season join the club's own select band of musicians to perform sets across the day. 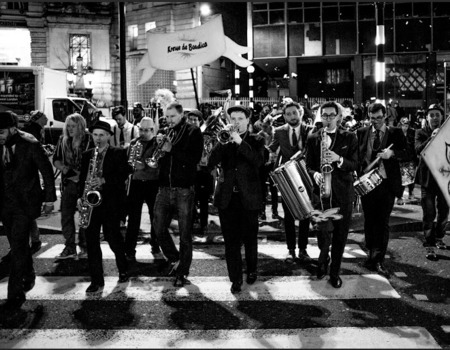 Usually to be found at the weekly Saturday late night event, After Hours, this ever-changing group are taken from London's best young jazz musicians. Sunday night is theatre and cabaret night, hosting theatre makers and enthusiasts from all over to enjoy the venue. Headlined by resident fierce girl band DENIM, new writing collectives Etch Theatre and PLAY theatre company. A night of frivolity, fun and laughs for all. Each slot will be ticketed individually and that ticket will only gain the holder access to that particular show.